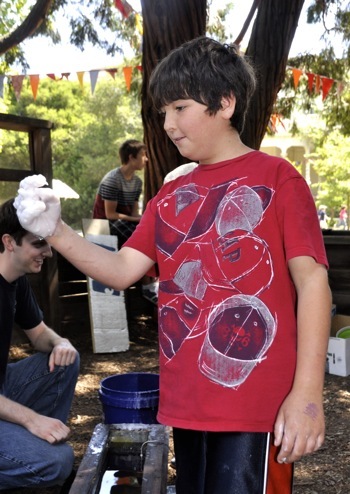 Menlo Park’s most creative event — in a good, old-fashioned way — is Peninsula School’s Spring Fair, being held today until 5:00 pm (920 Peninsula Way in the Menlo Oaks neighborhood). 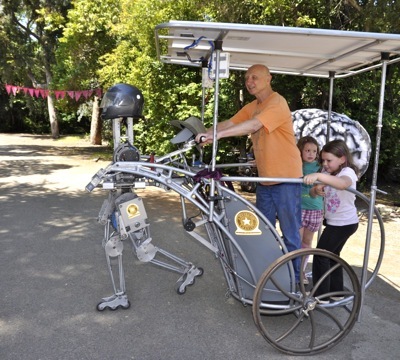 Where else can you make a wax hand or take a ride on a robot chariot? 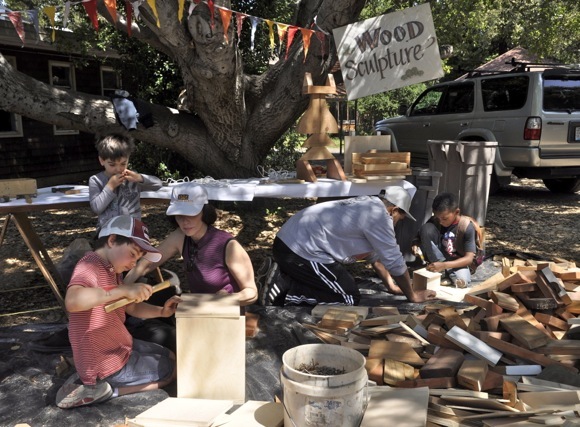 Other fair activities include Toy Mixups — making new toys out of broken toys — wood sculpting, hair feather threading, face painting and wall climbing. There’s non-stop music and an international array of food choices, including the fair’s traditional strawberry shortcake. Ellen said that they’re hoping that many of the fair coordinators from the last 40 years will gather at 4:00 pm for the official cake cutting.